It's nearly April. My seeds are here, and I'm going to be starting them for when the ground thaws tomorrow. 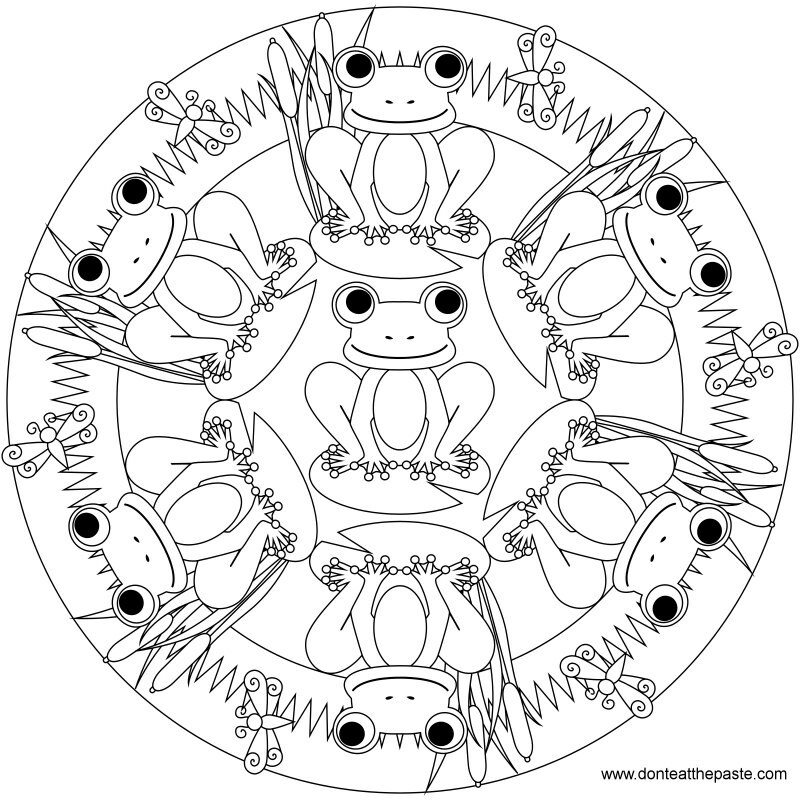 In the spirit of spring, I hope you enjoy this printable frog mandala. Click on the image for a larger version, print and color! My son is 3. We were looking for a frog graphic to put on a t-shirt for a school program. When he saw this mandala he said, "Mom! Mom! Mom! 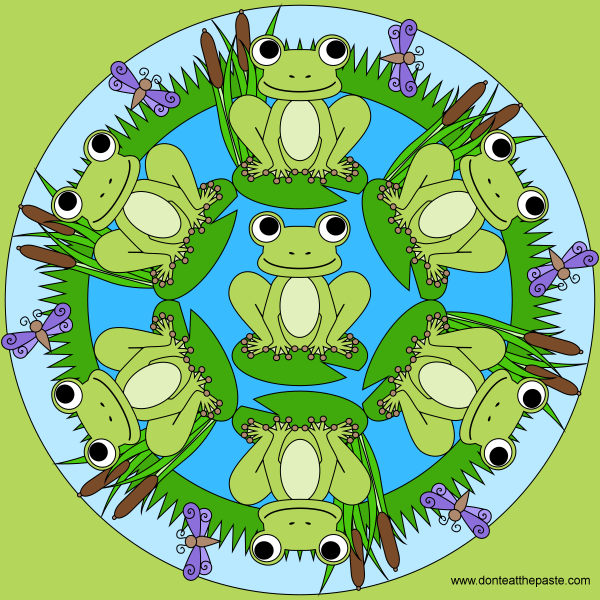 I need a circle of frogs on my shirt. Pleeeease!!!" So with that, we printed it on t-shirt transfer paper, and now have the cutest frog t-shirt! THANK YOU so much for sharing this! Thank you! I'm glad he likes it.